What is 4G? Good gizmodo explnation of a term taht we will hear ALOT about around here. 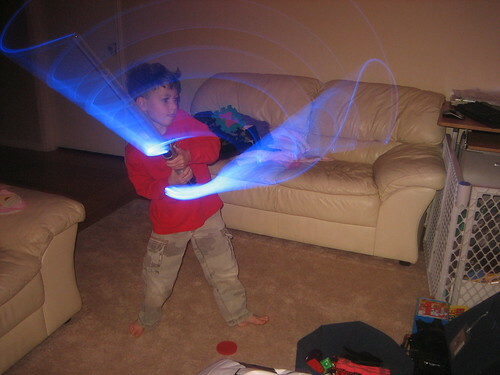 My very own Star Wars Kid! So proud of Obi Wan Tyler. This looks like a rough edit of Defense Dept video from at least two sources. You see from launch to impact. The Pentagon is talking up the success of this shoot-down as evidence that the anti-ballistic program, devised in the 80’s, actually works. Success is relative considering that the lauch was almost delayed due to heavy seas and cloudy skies. Missile launches won’t always happen on sunny days, will they? Backwards writing gets annoying. So let’s focus on the Yoda backpack. You can find it at Thinkgeek.com. There’s a Chewbacca backpack, too. May the…never mind.